Baader Planetarium is proud to present a new safety film for solar observation. 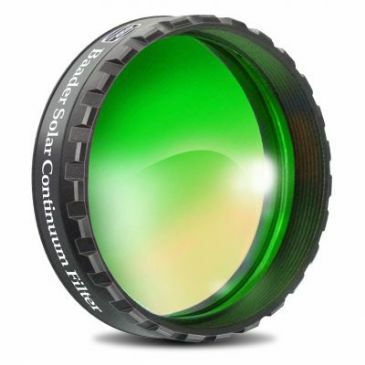 It is made for the construction of high-quality objective-filters for observing the sun with telescopes, binoculars, camera or video-lenses. This foil is CE-tested and reduces the intensity of sunlight by 99.999%. 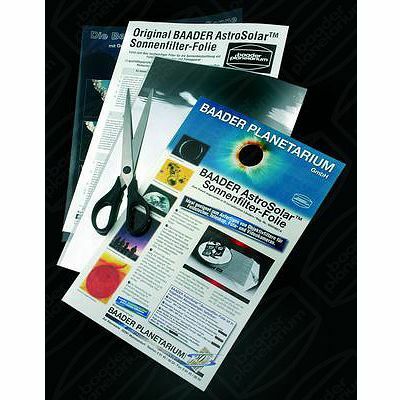 Baader Planetariums AstroSolarTM safety film is a specially manufactured streak- and blisterfree foil. 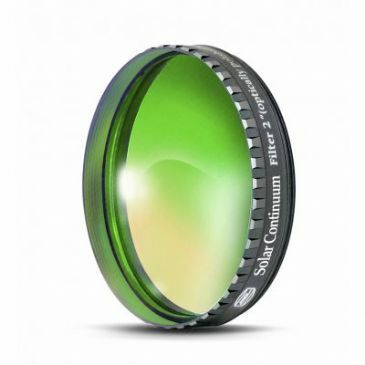 It attains the optical performance of planeparallel glass filters. The base material is not "Mylar"!. The basic development of this film was made in laboratories for nuclear- and particle physics. High density coatings on both sides of the foil ensures a highly uniform filtering, while neutralizing the occasional miscroscopic holes in the coating. The image of the sun is extremely contrasty and of almost neutral colour. The coating of the foil is subject to constant quality control. Its reflective property of over 99.999% has been tested by a German Republic bureau of standards and conformity with EU norm 89/686 is certified with the CE-symbol. We deliver AstroSolarTM safety film in sheets of 20x29.5 cm. For larger requirements, such as instruments with larger aperture or high-volume orders, it may be obtained in rolled sheets of 100 x 50 cm (approx. 4 Sq.Ft). ND5.0 for safe visual as well as photographic use.